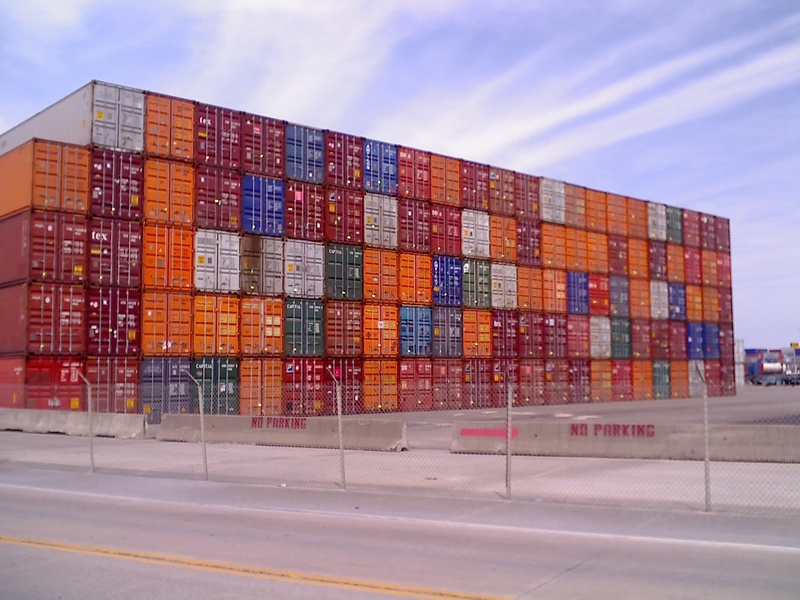 Shipping containers – is this houston? I had two photographs from some that I have posted on isthishouston over the last couple of years, selected to be hung at the Xnihilo Gallery 600 sqmi Hidden Houstonist exhibit. Coincidentally, they both were of shipping containers. The big stack of containers is at Barbours Cut near the Houston Cruise Ship terminal. The second one is a single stack of containers with a large cross located on I-45 south. I saw the first one last night and loved it. 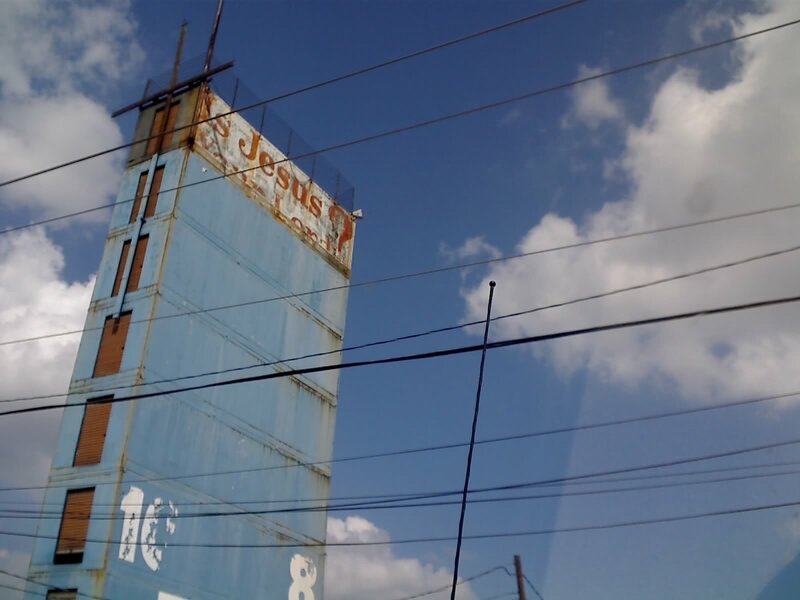 Shipping containers make such a great subject because of their lines and variety of colors. I didn’t realize the second one was shipping containers until I read it here.